We are counted among well-known Manufacturers and Exporters of Chemical Filters. We provide a wide range of Chemical Filters for buyers all over India. Our company can cater to bulk requirements of these sets and make on time delivers as well. Furthermore, we provide and additional warranty of months on our Chemical Filters. 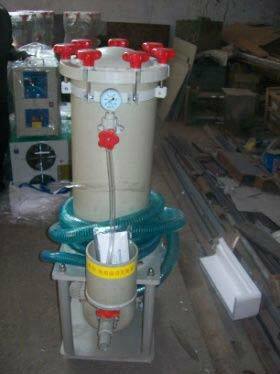 We have a wide range of Chemical Filters with Magnetic and Self priming pumps suitable for Electroplating Chemicals.